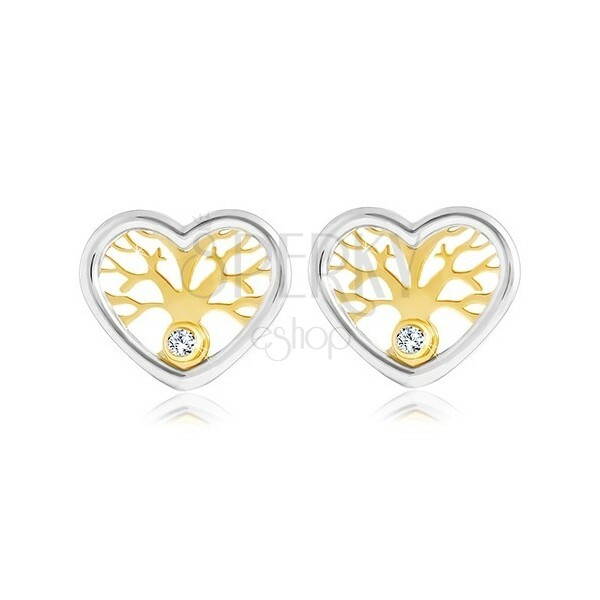 14K gold earrings, a symmetrical heart in two colours, a carved tree in the center, a tiny clear zircon. By buying this product you can collect up to 41 points as a voucher of $11.07. Your reward points. 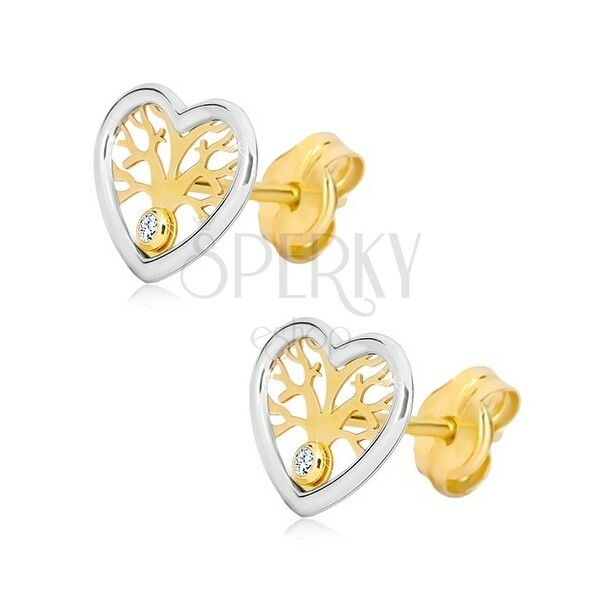 Earrings in combined 14k gold are in the shape of a symmetrical heart. 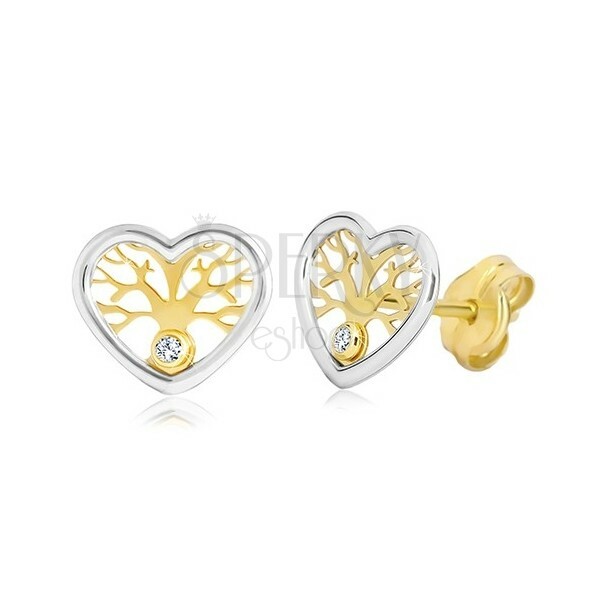 The center is made of yellow gold and is carved into the shape of a spreading tree of life. In the bottom part, there is an embedded shiny clear zircon. 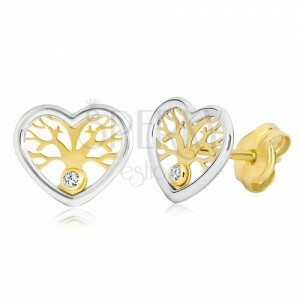 The edge of the heart is slightly raised and is made of white gold. The earrings have removable closure retained by friction.